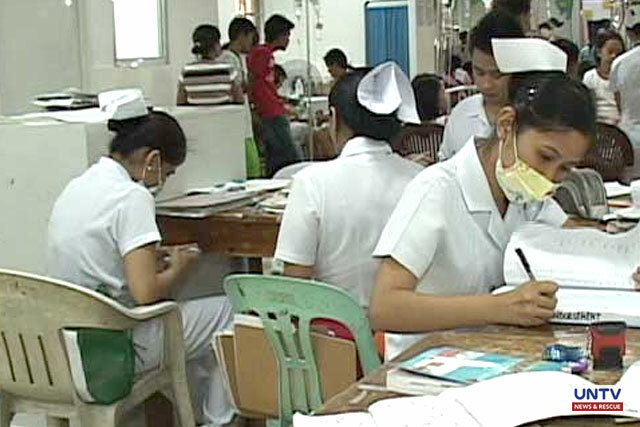 MANILA, Philippines – Some nurses hired by the Department of Health (DOH) in Region 5 are lamenting their situation. Some of them complain of being made to repack goods and join relief operations during calamities when it is not part of their job. But they still choose to go to work even in municipal and barangay health centers to administer vaccination to children and attend to the health needs of residents in the villages. They refused to be identified in fear of their contracts under the government’s Nurse Deployment Project (NDP) not being renewed. Aside from job mismatch, these nurses lament of not receiving their 13th month pay and other benefits enjoyed by any regular employee in the country. “Siempre dito sa Pilipinas wala naman. Iyong mga nurse wala namang choice so kung ano iyong ibinigay sa amin ng gobyerno na trabaho. Iyon lang iyong ia-accept namin. Mahalin lang kung ano iyong ibinigay,” said ‘Rick’, not his real name. Their salary, Rick said, is already two months delayed as they have not received their pay since November last year. Based on the letter that they received, they were told that their notice cash allotment (NCA) was limited and the Department of Budget and Management (DBM) lacked time to process it hence the delays in the nurses’ wages. But Budget Secretary Benjamin Diokno said these things should be verified with the Department of Health (DOH) especially the delays in the nurses’ compensation. “Baka nag-hire sila hindi pa napapasahod. Minsan nade-delay talaga lalo kung kaha-hire mo lang (kasi) may mga paper requirements iyan,” argued Diokno. For its part, the DPH-Region 5 promised to give the appropriate compensation for the NDP-hired nurses in Bicol Region. “Kinausap ko sila. Of course humihingi rin kami ng paumanhin sa kanila dahil talaga kahit ano ang gawin namin dito sa regional office kung wala ang support or funds coming from the central, wala rin kaming maibibigay,” explained DOH-5 OIC Dr. Ernie Vera. The wrath of tropical depression ‘Usman’ in the Bicol Region has caused the death of 57 individuals in landslides and drowning in floodwaters. Based on the latest report of the Civil Defense Region, Camarines Sur has the highest number of casualties with 23 deaths. This was followed by Albay with 15, Masbate with 7 and 6 for both Camarines Sur and Sorsogon. Apart from the casualties, 11 persons were recorded injured and 11 others went missing on the onset of Usman in the region. The Office of the Civil Defense Region 5 Regional Director Claudio Yucut insisted that they prepared for Usman and the local government did not lack in reminding residents of the possible disaster. He said the problem was negligence of some residents since Usman was declared only as a low pressure area. “Dahil na-declare na kasi nung umaga na-declare zero tropical cyclone warning ibig sabihin low pressure area na lang at kinagabihan doon nangyari yung maraming landslides. 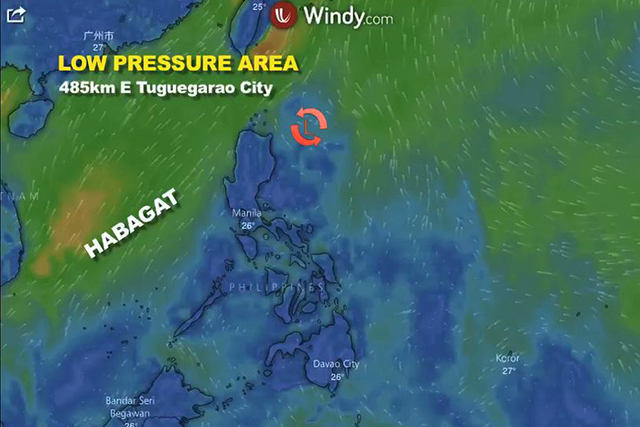 Yung nga tao kampante, zero na tropical warning signal,” said Office of the Civil Defense Dir. Claudio Yucut. In Albay, two isolated landslides occurred. 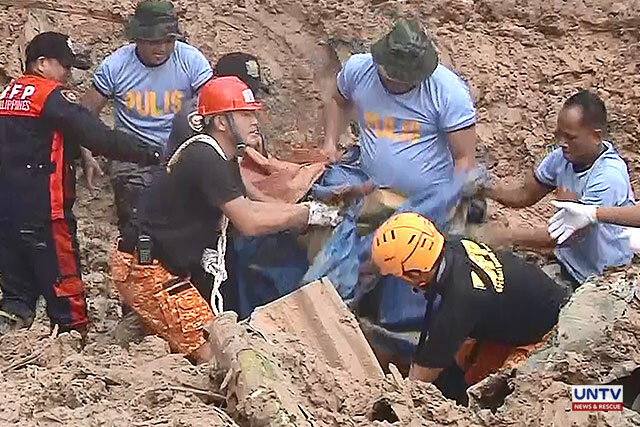 In the town of Tiwi, 12 individuals have died in the landslide while three others died in Brgy. San Francisco, Legazpi City. “Paano ba yan saan tayo hihingi ng tulong kasi ang bilis bilis ng pangyayari ng makita ko wala na talaga sila,” said Nany Lina, a mother of a victim. The local government has promised to provide financial aid for the victims of the calamity. Due to the serious damages left by Usman, Camarines Sur, Albay and Sorsogon were declared under state of calamity. Although Usman has left the Philippine area of responsibility, isolated parts in Bicol Region are still experiencing rains. OCD has yet to estimate the total cost of its damage to agriculture and properties. QUEZON CITY, Philippines – A low-pressure area (LPA) is continuously affecting areas in Bicol Region with light to moderate rains. At 3:00 a.m. today, PAGASA monitored the LPA at a distance of 485 kilometer east of Tuguegarao City in Cagayan. Nevertheless, the weather bureau said the possibility of it developing into a tropical cyclone is slight. Meanwhile, the southwest monsoon or habagat is continuously affecting northern and western parts of Northern Luzon. Light and moderate rains will still be experienced in Ilocos Region, Cordillera Autonomous Region (CAR,) Batanes and Babuyan Group of Islands. A total of 30, 897 houses have been damaged in Bicol region over the onslaught of Typhoon Nina. In Calabarzon, Mimaropa and Bicol region, a total of 122 areas are experiencing power outage while 10 power lines in Calabarzon and Region 5 have been cut off since December 25. 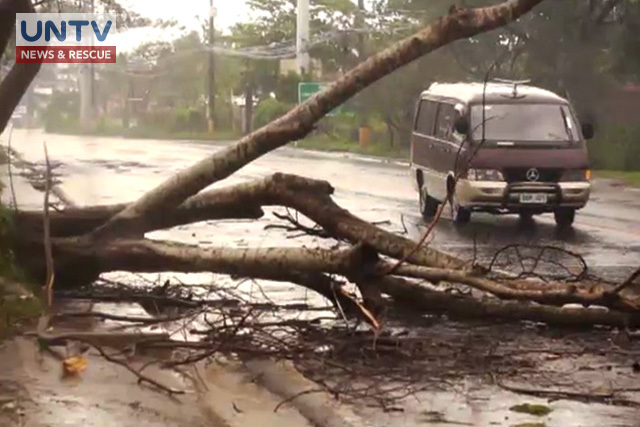 National Disaster Risk Reduction Management Council (NDRRMC) has reported that provinces of Marinduque and Oriental Mindoro suffered a total of over P83 million worth of damages to infrastructure. The council has confirmed one death in Calabarzon while 10 others are still under verification. Seventy-nine have been reported wounded while four are still missing. A total of more than P29 million worth of assistance from the Department of Social Welfare and Development (DSWD) and local government units have been extended to the provinces of Albay, Camarines Sur, Catanduanes and Sorgon; all In Region 5. “Patuloy pa rin po tayo na naghahanda ng mga karagdagang family foodpacks para sa ating mga evacuees. Maari po kasi na yung ilang ating mga kababayan ay manatili pa na mas matagal na mga ilang araw pa sa ating evacuation centers dahil sa dami na naitala natin na nasirang kabahayan dahil sa bagyo,” said NDRRMC spokesperson, Mina Marasigan.